(Nassau, Bahamas (MOT Release) – Budding Grand Bahama basketball player Howard Hinsey said the chance to interact and learn from the Miami HEAT training staff was the by far the “best opportunity” he’s had in his 17 years. Harkem Rolle, a 12th grader from Bimini, said the encouragement and advice he received from NBA Hall of Famer Alonzo Mourning restored his confidence in his abilities. Rolle and Hinsey were two of 160 student athletes from across The Bahamas that took part in the Alonzo Mourning Basketball Clinic yesterday afternoon at the Atlantis Resort. The students also got the chance to see the Miami HEAT players practice. Mourning and the Miami Heat are in town for their training camp. Hinsey, a senior player at St. Georges High School, said one day he hopes to be in their sneakers. “[This has been] the best opportunity in my life that I’ve had so far,” he said shortly after the clinic concluded. Hinsey said when he returns home, he’s going to work even harder to perfect his game. Rolle, who’s also aspiring to be an NBA player, shared similar sentiments. Mourning, former Miami HEAT player and current vice president of the three-time championship team, said the Heat put on the clinic as a way to give back to their Bahamian fans. RJ Calbert, of Temple Christian, said he’s just hoping to apply some of the skills he’s learned during his school’s upcoming basketball season. Ten-year-old Denaro Moss, of Grand Bahama said he felt “excellent and great” after participating in the clinic. The Ministry of Tourism brought in students from New Providence, Andros, Bimini, Grand Bahama and Exuma participated in the clinic. 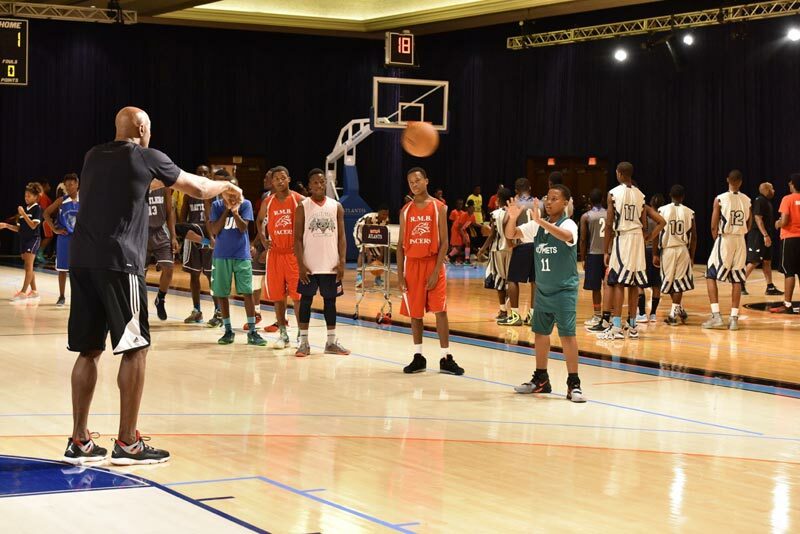 This is the second time that the Miami HEAT held a training camp in The Bahamas. The camp ends on Saturday.